... 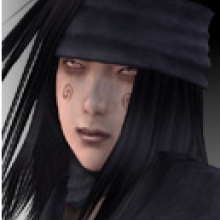 It seems that almighty Namco want to tone down already toned down character. - Sword Sweep is reported to have worse range. >_< Good bye Yoshi!!! >____<!!! - Indian Sit, Meditation and Kamikaze regains only about 3 points of health. - POGO f+3+4 has shorter range. + Roo Kick is reported to have better recovery on block. + Indian Sit mixups seem to be faster. + Bad Breath seems to have better range. + Bad Breath 3_4 causes inescapable stun similar to SS+4. D/B+1+2~3 CH, 1+2,1+2 combos. Excuse my swearing... Gosh why do they have to tone him down again...? Well... at least they ehanced him a bit, too. 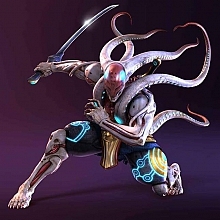 Just why is it they are always picking on Yoshimitsu? Are they afraid he'd become too powerful? If that's the case, they're barking at the wrong tree. Damn Namco. I now hate them even more. They seem only to care about the Kazamas and Mishimas, and they look at Yoshi as a Tekken mascot. He was enough bad in T4, and now he's even worse? That, my friend, is what's called a person getting angried to patheticness.